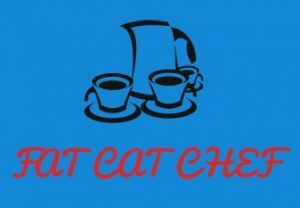 Send e-mails and updates about fatcatchef.com, including our electronic newsletter. fatcatchef.com or its Users may post links to third party websites on our Site. These third party websites are not screened for privacy or security issues by fatcatchef.com, and you release us from any liability for the conduct of these third party websites. Although you are entering into an Agreement with fatcatchef.com to disclose your information to us, we do use third party individuals and organizations to assist us, including contractors, web hosts, and others. At times it may become necessary or desirable to fatcatchef.com, for legal purposes, to release your information in response to a request from a government agency or a private litigant. You agree that we may disclose your information to a third party where we believe, in good faith, that it is desirable to do so for the purposes of a civil action, criminal investigation, or other legal matter. In the event that we receive a subpoena affecting your privacy, we may elect to notify you to give you an opportunity to file a motion to quash the subpoena, or we may attempt to quash it ourselves, but we are not obligated to do either. We may also proactively report you, and release your information to, third parties where we believe that it is prudent to do so for legal reasons, such as our belief that you have engaged in fraudulent activities. You release us from any damages that may arise from or relate to the release of your information to a request from law enforcement agencies or private litigants.